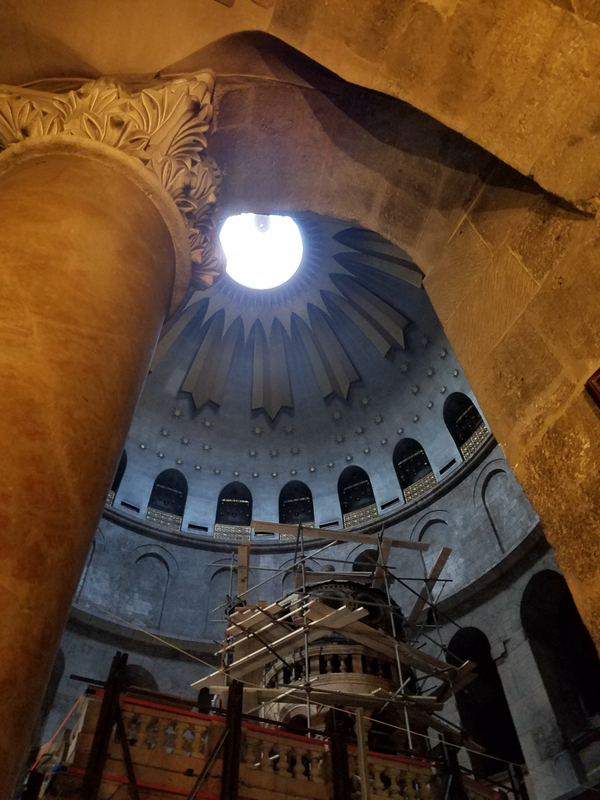 The rotunda that encloses the tomb. 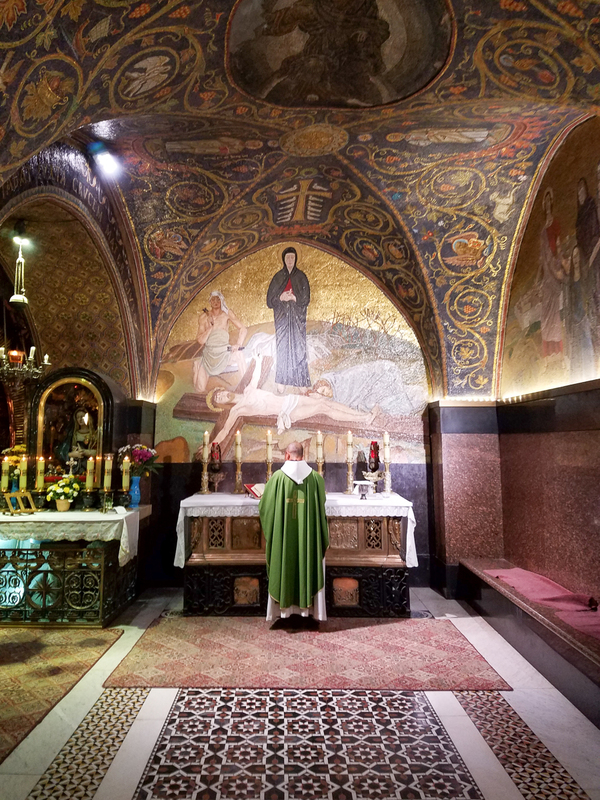 The Latin chapel of Calvary where we celebrated Mass. 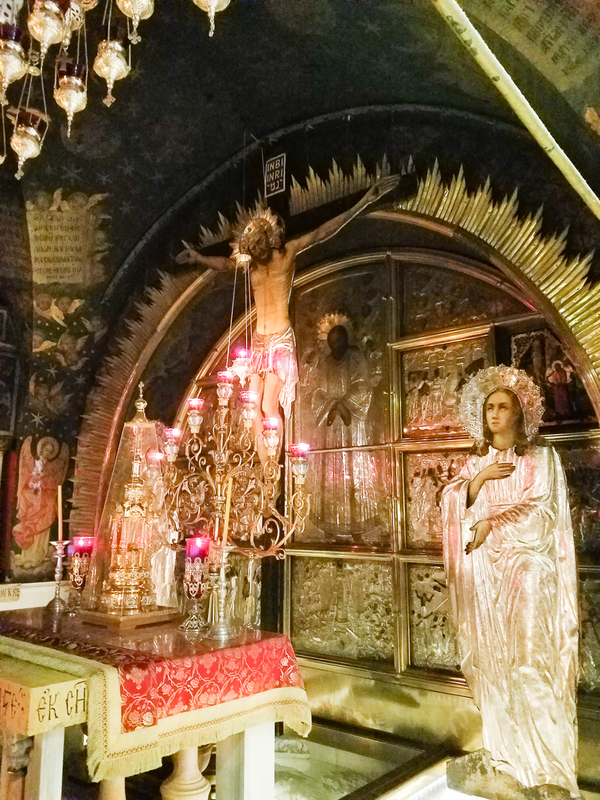 Golgotha, upon which Our Lord was crucified . 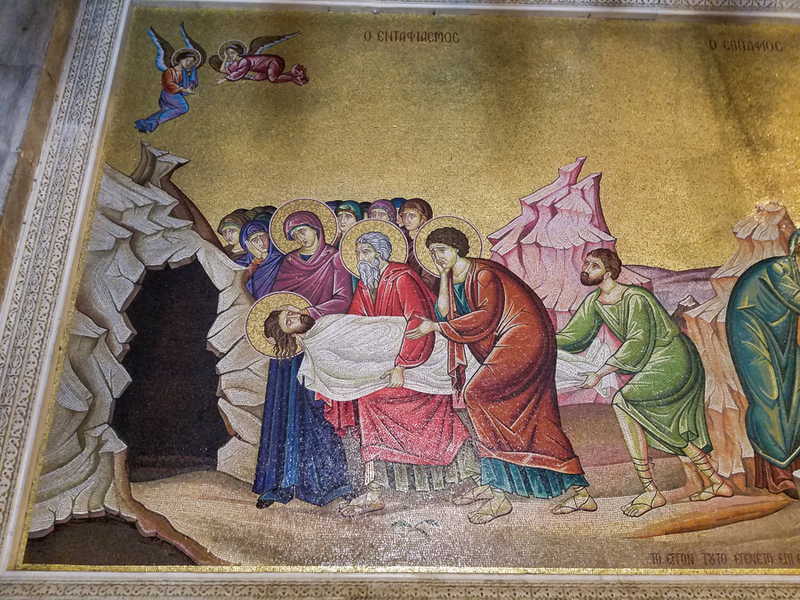 A medieval tradition therefore not authentic but I find it moving in that it reminds me of the preparations for the burial of Jesus. 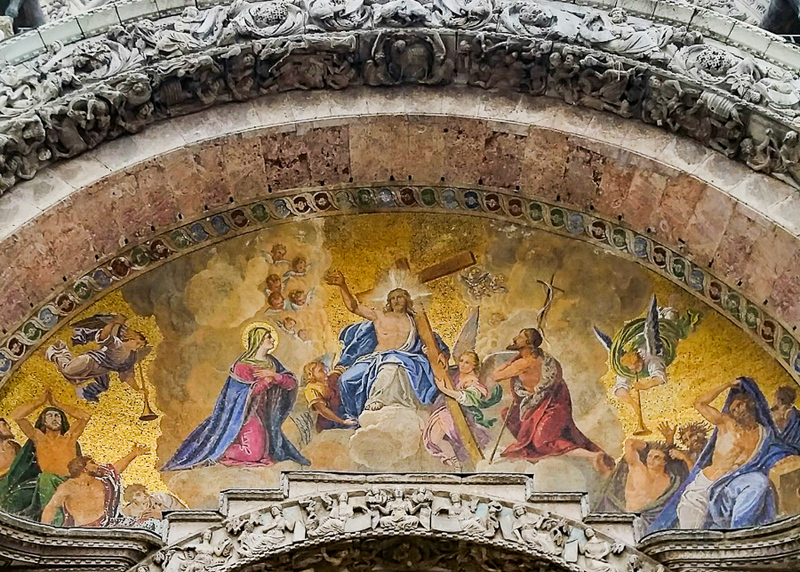 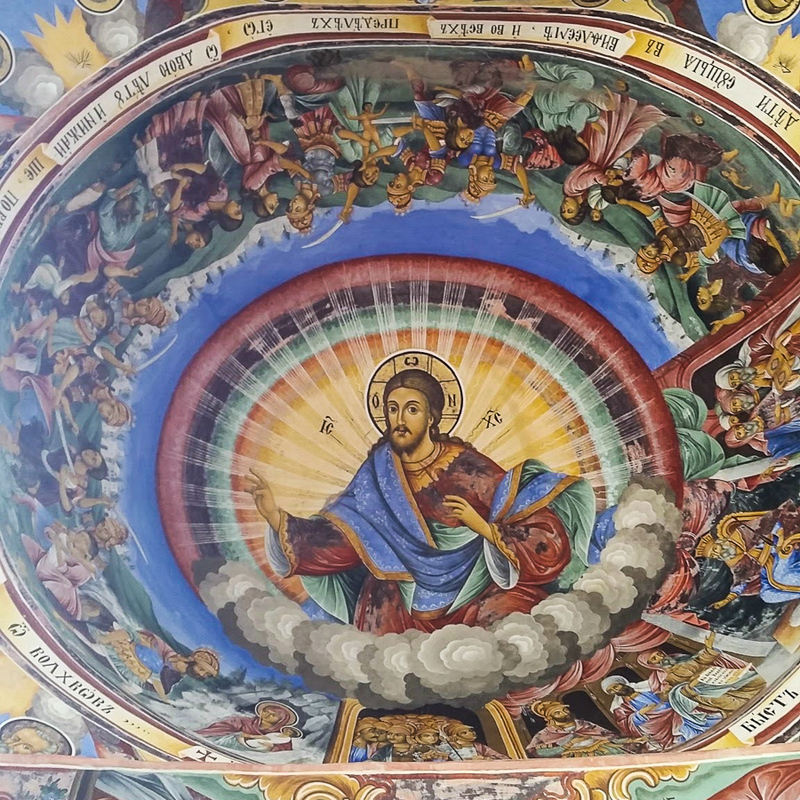 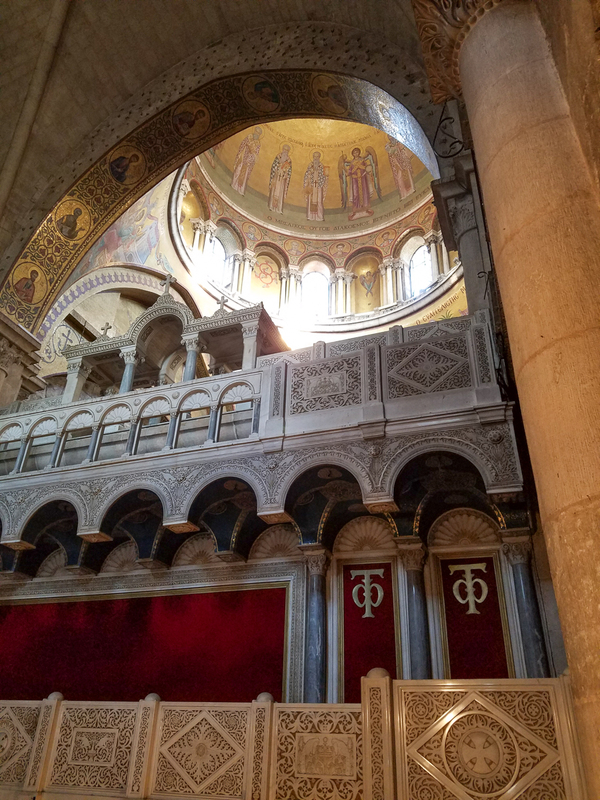 The dome over the Greek church in the Sepulchre. 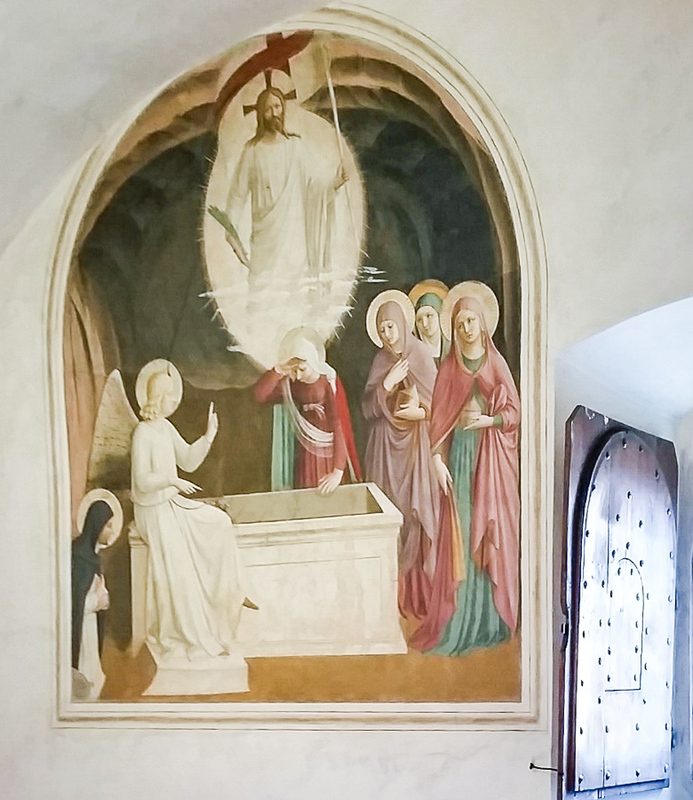 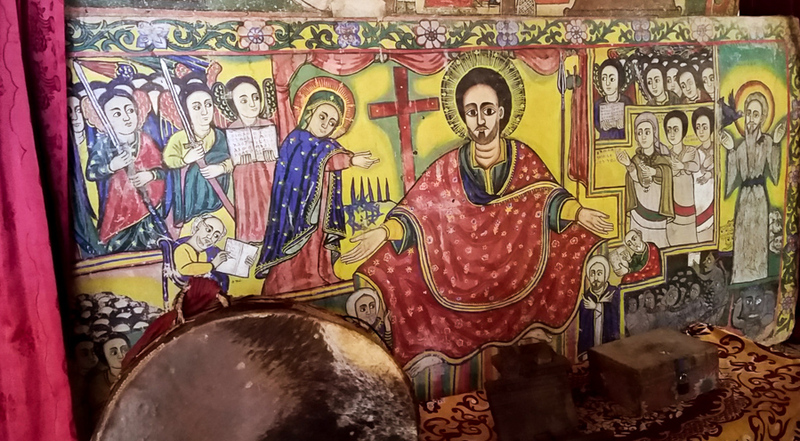 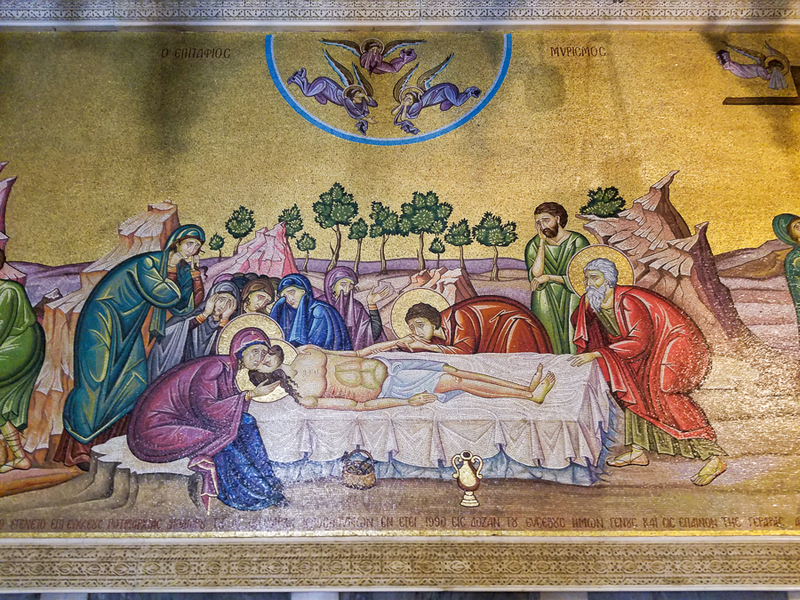 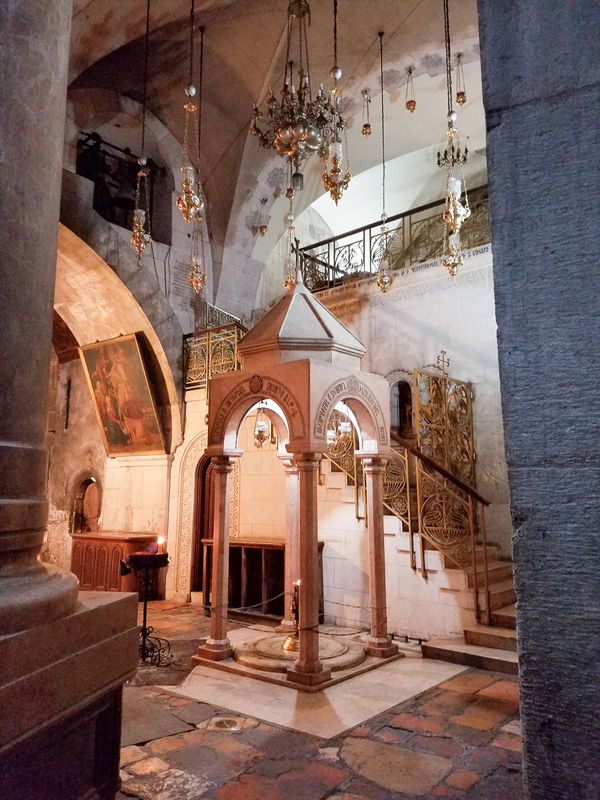 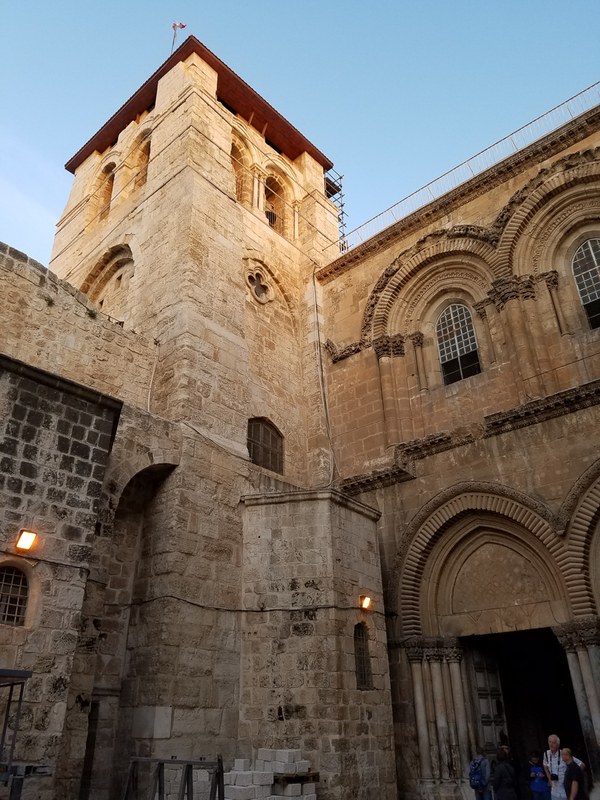 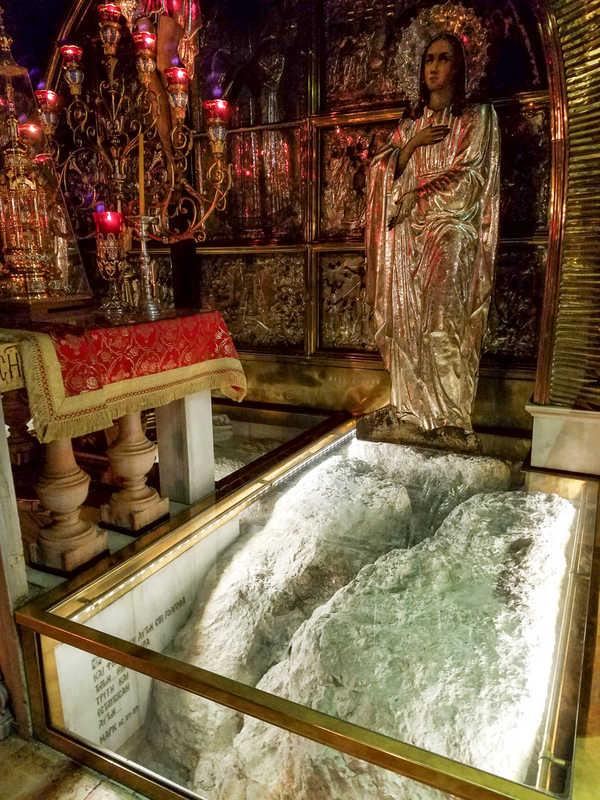 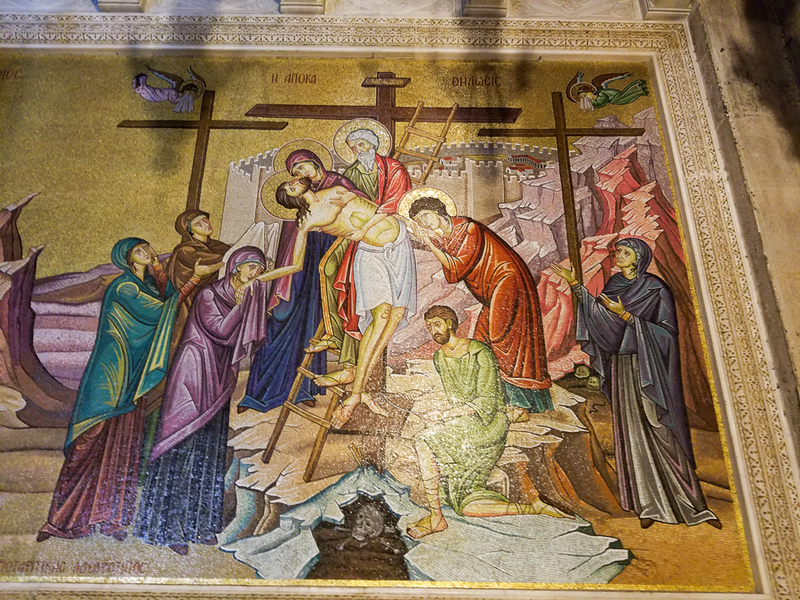 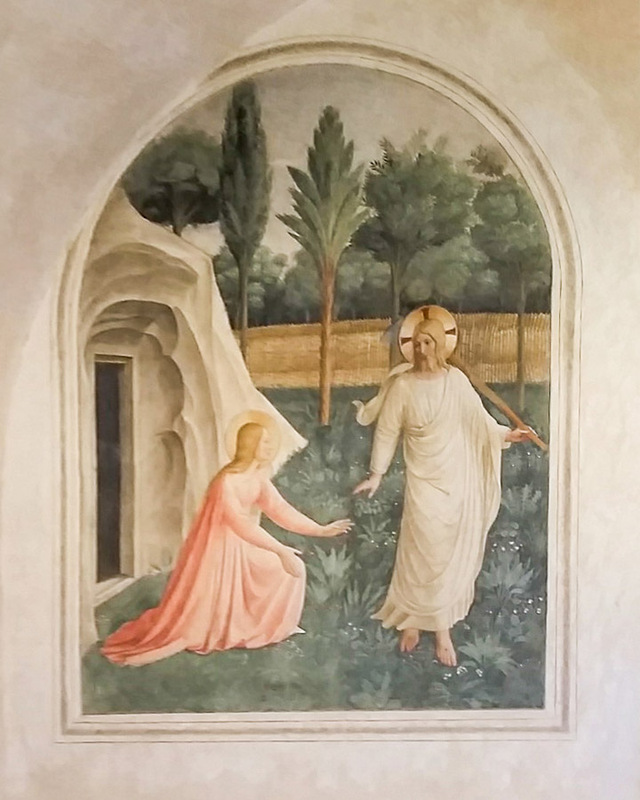 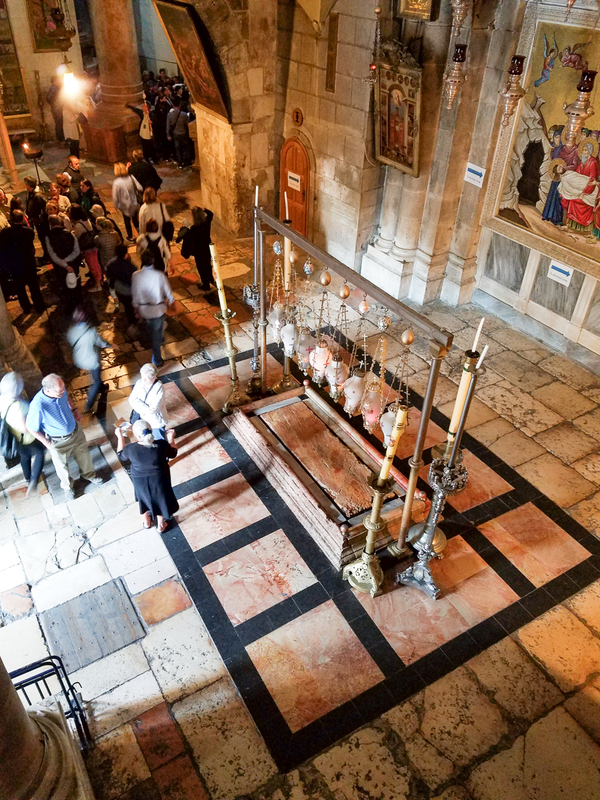 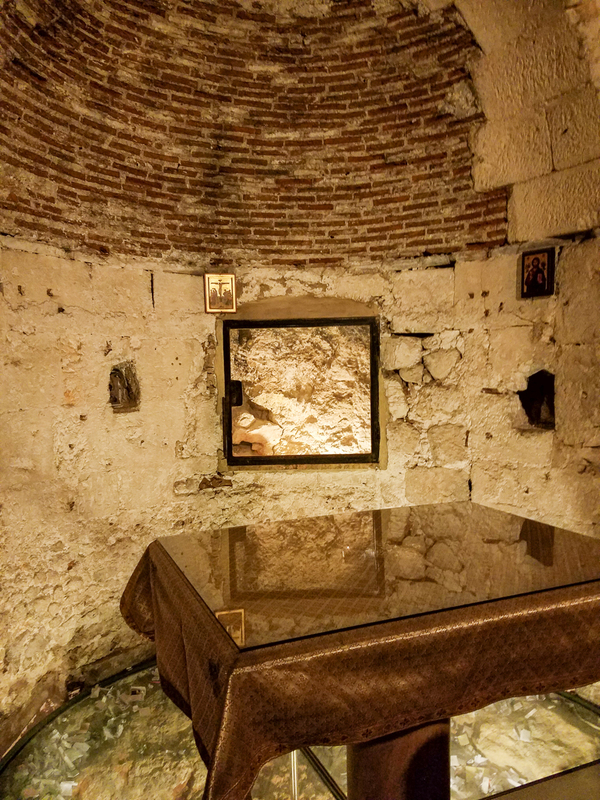 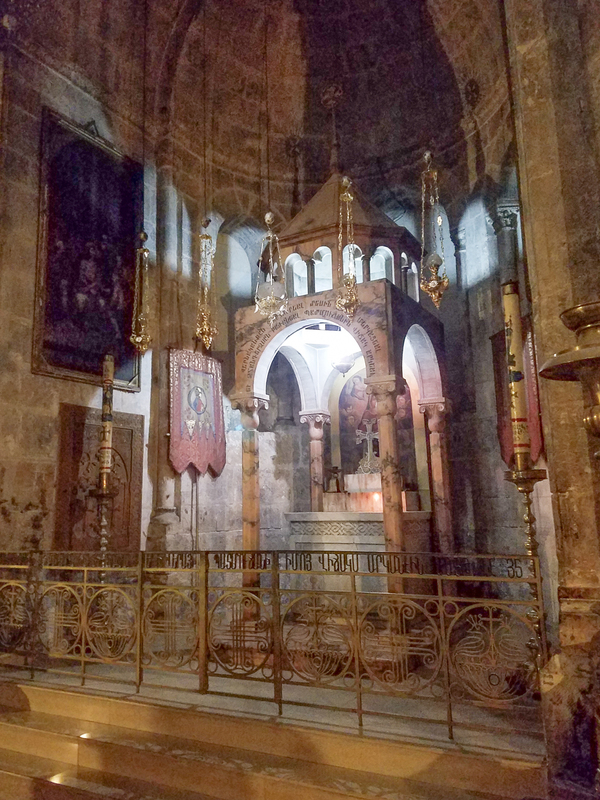 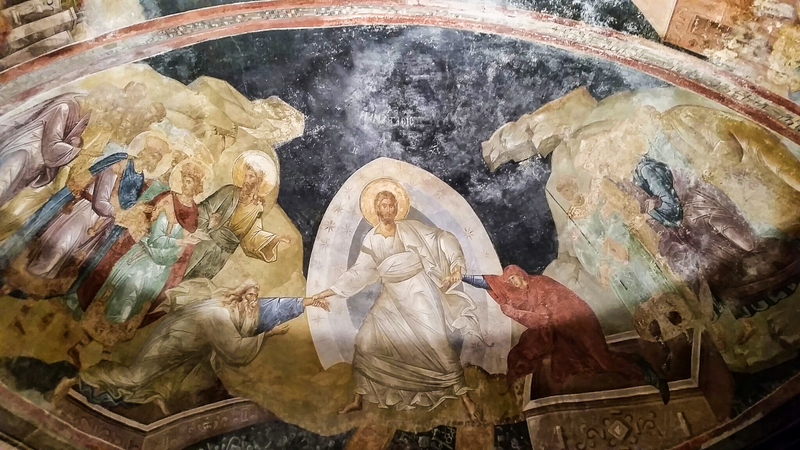 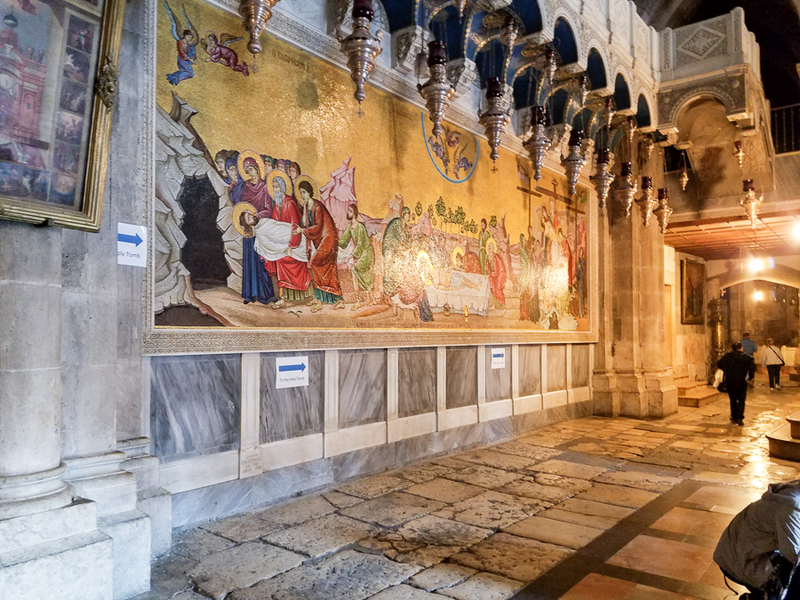 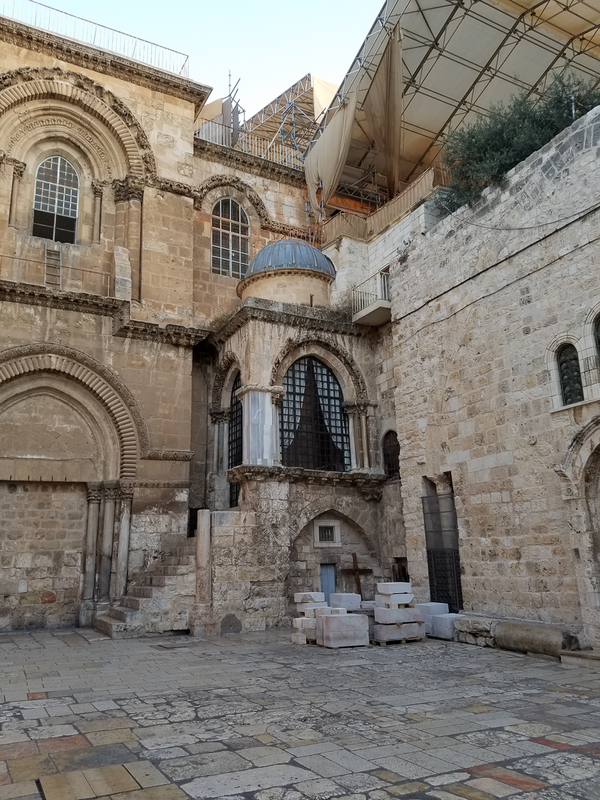 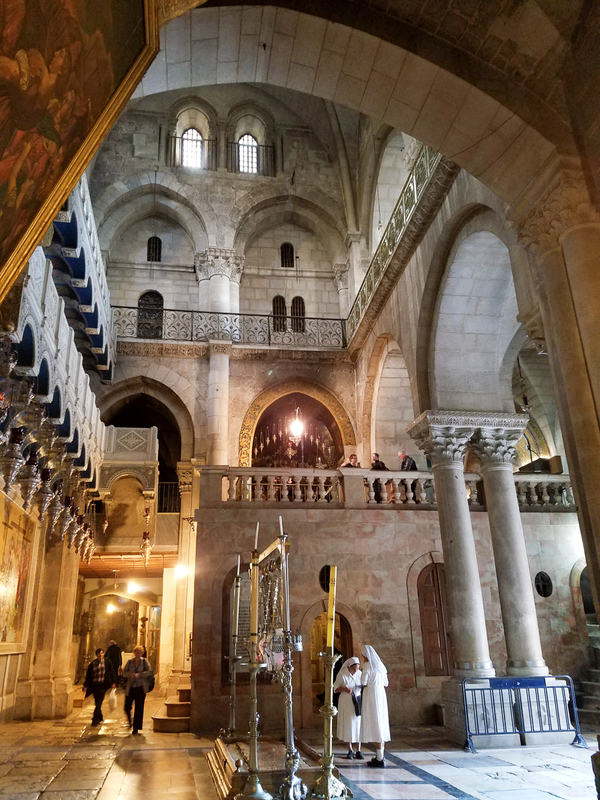 This entry was posted in Christianity, Travel and tagged Burial, Easter, Good Friday, Holy Land, Holy Sepulchre, Israel, Jesus on November 18, 2016 by frjfkauffmann.